One way to do that is to encourage your Representative to sign their name to the Dear Colleague Letter that is being circulated in the House. The Senate is also working on one for the Senators, and we will share it as soon as it is available. You can show your support, today by adding your name to the Dear Colleague Letter being circulated by Representatives Bilirakis and Schiff. You may do so by contacting Shayne Woods (Shayne.Woods@mail.house.gov) in Bilirkais’ office. 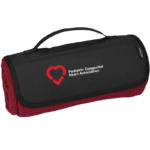 Help us raise awareness and support patients and families all while earning awesome PCHA swag!! Yep, it’s double our original goal! You guys are amazing! Extend the end date to 2/28 to get in on all the fun! IMPORTANT: Add “CHD Awareness” to the title so we can keep track of your success! Share with all your friends to reach your personal fundraising goals and earn prizes!! Don’t have Facebook? You can still help us reach our goal by donating to PCHA during the month of February. 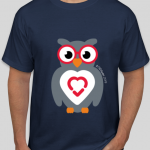 Donate $100 or more “in honor of CHD Awareness” and you can also receive our exclusive #CHDAware 2019 t-shirt. We had hoped to share winners, too, but there is a lag in Facebook’s reporting. If you are eligible to receive any of the prizes from our contest, you will be notified in early March and asked to complete a brief survey so we can get your prize(s) mailed to you! 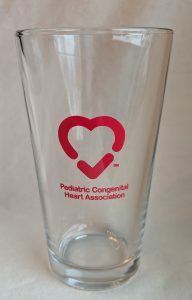 CHD WEEK CHALLENGE Runs February 7-14: Get 10 unique donations of $10 each and receive a PCHA pint glass. T-Shirt Winners: Wow, we have too many to list. You can earn your t-shirt by raising $100! Congratulations to Artyom and Taosies who one the swag bag in our First Day Fun Contest. February 1 February 1 (only! 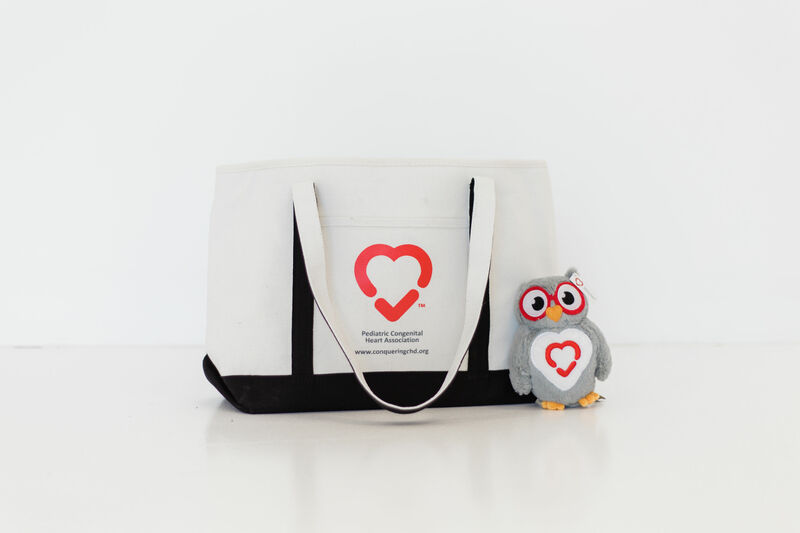 )Set up your fundraiser on February 1st and be entered to win a canvas swag bag. Our last August post is a throwback! 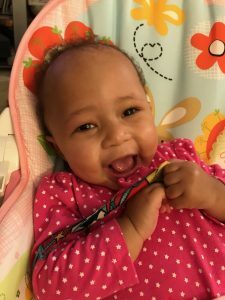 Today’s guest blog comes from Stephanie, who shares how her priorities have changed, since her daughter, Maggie, was born with a heart defect. This was originally posted in May of 2014. I used to really care about elections and politics. As a political fundraiser, I took it personally if friends or even strangers supported my opponent. Funny thing is, they were never MY opponent, they were the person running against the person who paid me to help them raise enough money to compete and hopefully win an election. I jumped from campaign to campaign, always eager to fight and argue and sometimes sacrifice relationships with friends and family members. Nothing was more important than my job, my reputation and the campaign I happened to be working on. I worked for a sitting governor during my entire pregnancy in 2011. I sat in an attic office, talking and complaining and making sure that everything I touched went well. I raised a lot of money and watched my feet and ankles swell as I paced around at fundraising events. I took pictures of my “kankles” afterward. 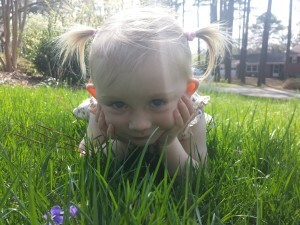 Our daughter was born on January 11, 2012; she was pink and screaming with a shock of dark hair. I did not enjoy pregnancy one bit, so I was so relieved she was here and I could eat a big dinner. During the first exam, after the first bath, probably while I was begging for a dinner menu, the nurse said, “She has a heart murmur….But lots of babies do and usually it’s nothing, most close on their own. No big deal. The pediatrician will listen and I am sure it will all be fine.” I shrugged and said OK, never once thinking there was anything wrong. Her heartbeat had been so strong the whole time I was pregnant and I had such a tough nine months – I was sure nothing was wrong. Tetralogy of Fallot sounds like gibberish if you’ve never heard it. I never knew my sister’s defect had a name. I thought she just had a hole in her heart that they fixed. The doctor paused upon hearing my mom’s comment and I don’t really remember much other than taking a shower and talking to my sister about child birth while the techs did an echo on my baby, down the hall. My husband and mom walked with her, I wasn’t overly interested because I just knew nothing was wrong. I walked over and looked in the window while they did it but I just couldn’t bring myself to get upset. Later that afternoon, around 5:15 or so, my husband and I were in our room with our new baby. For some reason she and I were skin to skin, maybe we had just finished nursing, when the pediatrician came in the room. I only remember him walking in and around to the bed where we were sitting. I do not remember what he said but as he said it, I felt my soul turn inside out. There is no other way to describe it. I have never been the same. The love I feel for my child is beyond comprehension. I have been more scared than any parent should ever have to be. I felt something deep inside me rip open. 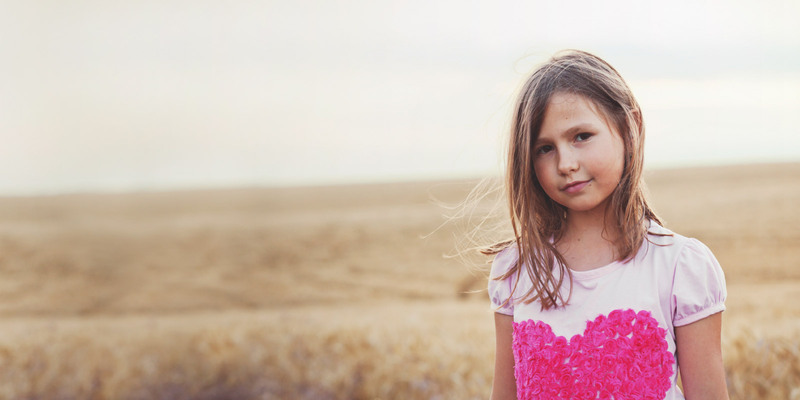 Now, 28 months later, Maggie has had 2 heart surgeries and is functioning normally. You would never, ever know she had heart issues. She goes to Montessori school, jumps and runs everywhere and loves her Daddy. She loves me too, but it’s a different kind of love. I am back working in politics but I don’t care the way I used to. I care about Maggie and my husband and our family, but that’s about it. I care about helping other heart baby families know they are not alone and I have such deep empathy for parents of children with any kind of issue. Politics is fun but I am just so blessed and thankful that my baby is OK. I am not the same as before Maggie’s diagnosis and I think that’s a good thing. Stephanie Dorko Austin began her career working for former White House Chief of Staff Erskine Bowles both times he ran for U.S. Senate (2002 and 2004). She was Finance Director for State Treasurer Richard Moore’s gubernatorial campaign in 2008, helping to raise just over $5M for the primary election. During the 2010 cycle, she worked for U.S. Senate candidate Cal Cunningham and N.C. Senate Majority Leader Martin Nesbitt. She was Deputy Finance Director for Governor Bev Perdue’s re-election campaign in 2011. She has also worked as a fundraiser for State Treasurer Janet Cowell and U.S. Senator Chris Dodd of Connecticut. Stephanie’s non-profit experience includes serving as Vice President of Government Affairs for the Charlotte Chamber of Commerce and Development Director at the Council for Entrepreneurial Development and the NC Advocates for Justice. 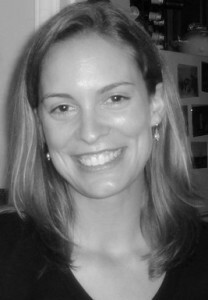 She currently works for the Cooper for North Carolina Committee and serves on the Board of Advisors of the Jamie Kirk Hahn Foundation and the Board of Trustees of Follow the Child Montessori School. A Phi Beta Kappa graduate of Trinity College in Washington, DC, Stephanie and her husband, Will, live in Raleigh, NC. 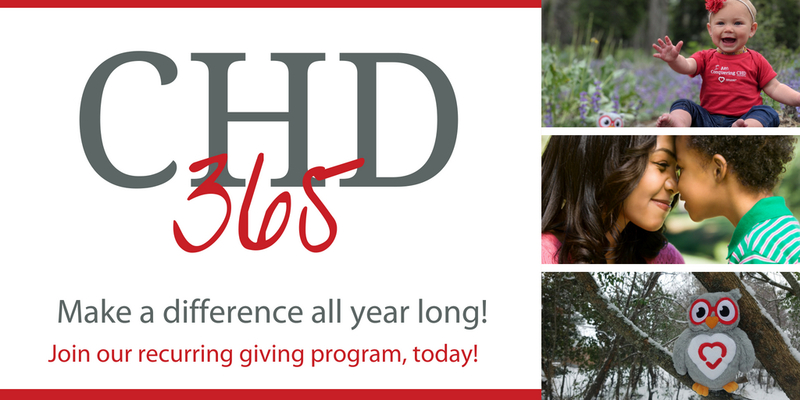 CHD365 is our recurring giving program. Your contribution through this program helps us to give knowledge, a voice and hope to hundreds of thousands of people impacted by congenital heart disease. WHY GIVE A RECURRING DONATION? Convenience: A recurring gift is deducted monthly from your bank or credit card account. You don’t have to think about. You can easily change the amount or discontinue the donation at any time. Stability: A monthly donation provides consistent funding to our education, support, research and awareness programming all year long. By giving consistently, throughout the year, it helps with budgeting. 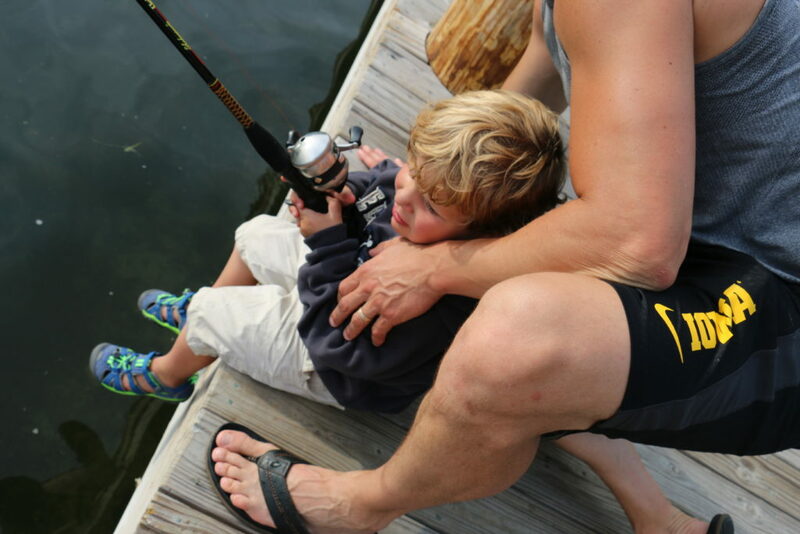 Not only is it predictable for your check book, but it helps us when planning our activities. Access: By joining our CHD365 program, you will receive exclusive updates and opportunities throughout the year. Get in-depth insight into how your money is making a difference in the lives of others. How do I join CHD365? It’s easy! Start by clicking the image below. This will direct you to our donation page. As you make a donation, simply select recurring. That’s it!! Although we know it’s not Thursday, this week we’re doing a throwback! We are always working on improving the transparency between patients, and the doctors. 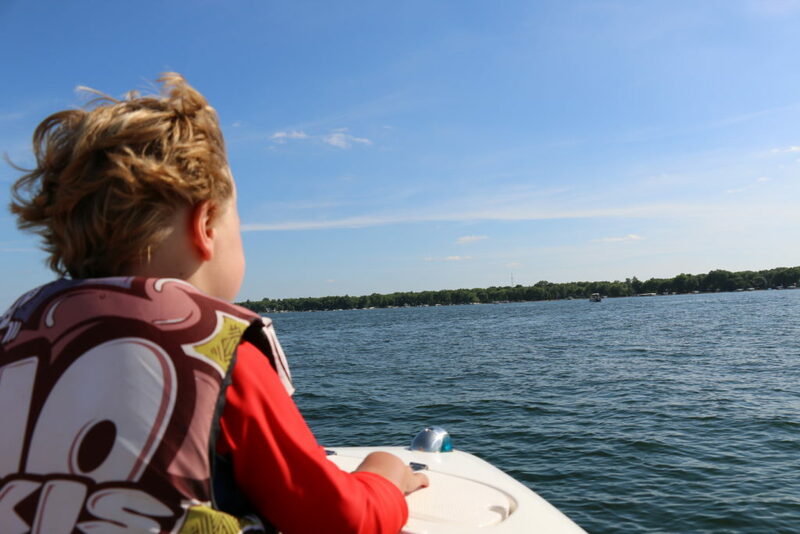 In our continuing conversation of transparency, please read this family’s story in navigating the difficulties of finding the right care for their little boy, John… Spoiler alert, there’s a happy ending 🙂 This was originally posted on July 25th, 2016. Five years ago we stepped into the new community of Congenital Heart Defects (CHD’s) when I was pregnant with our third child, John. He was diagnosed with Hypoplastic Left Heart Syndrome (HLHS) and would need three open-heart surgeries within his first few years of life. 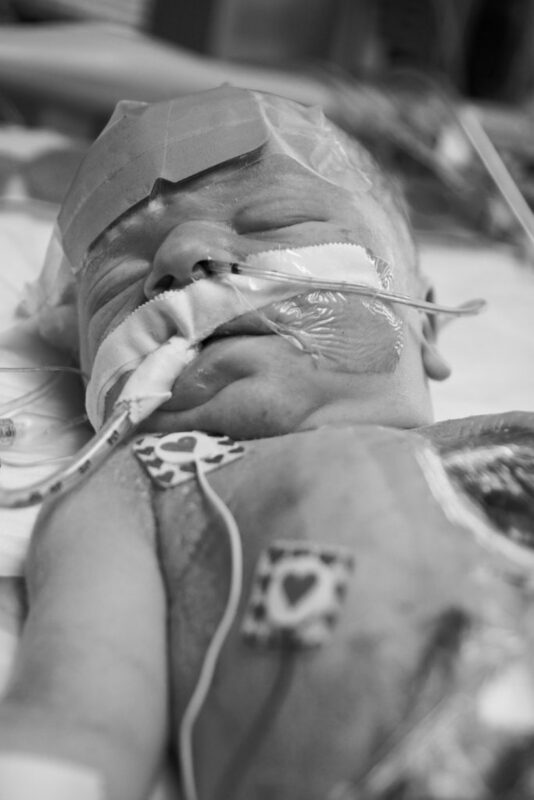 The first, and most invasive, surgery would be needed within days of birth. The limited information parents have when researching a dentist is eerily similar to choosing a pediatric heart surgeon. But this was not a small cavity that needed to be filled. Finding this care was not easy. It’s a big decision left to chance because factual information is difficult to find and, if you’re like me, parents often don’t know who or what questions to ask. 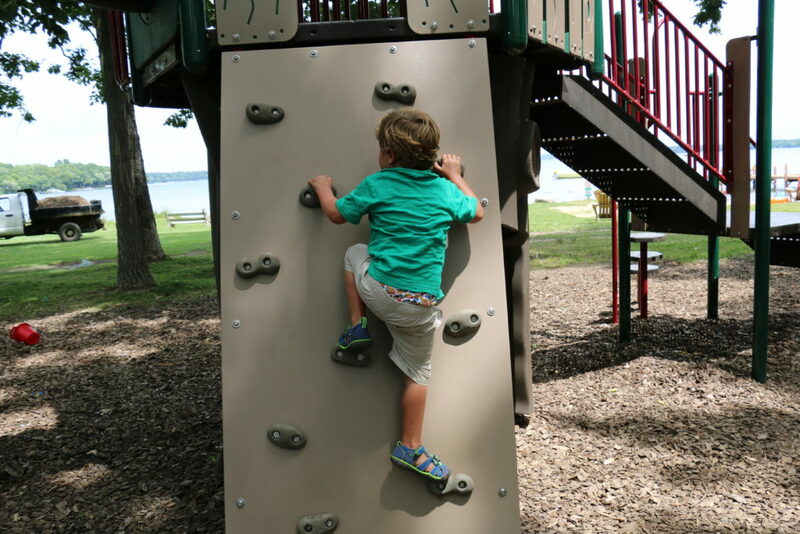 My conscience propels me to publicly explain the difficulties we had leading up to our son’s care decisions, in hopes of raising awareness as to what’s been termed as the “transparency issue” in the pediatric heart world. I was around 22 weeks gestation when the ultrasound technician couldn’t find the left side of John’s heart. The left ventricle is responsible for pumping blood to the body. Hypoplasia means “under formation”. I wondered what I did to cause this severe heart defect. Was there a day I forgot to take my prenatal vitamins? My husband and I both shut down. 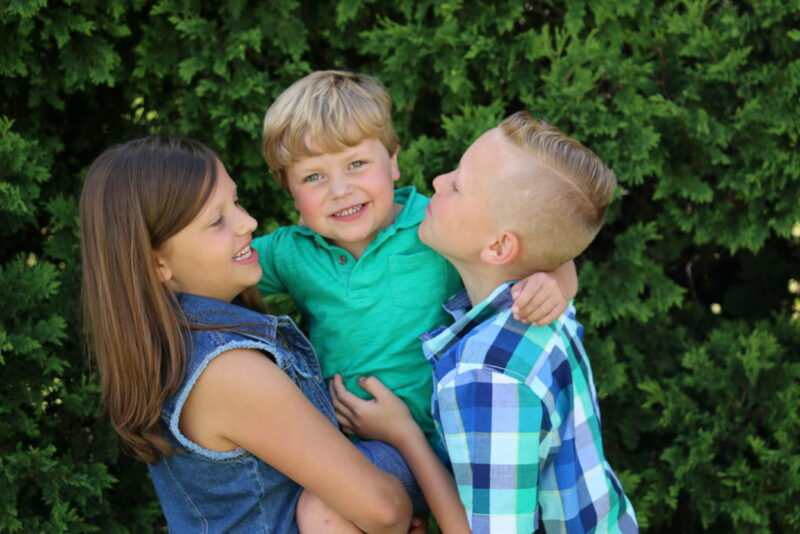 We were hurting deeply and naturally concerned for our unborn child and the ramifications this would have on our marriage, other kids, finances, job, and all the responsibilities it takes to be a good parent to a child affected by CHD. We had a hard time remembering what the acronym HLHS even stood for. It was all very overwhelming. The internet was our first teacher, but later, when we met with a perinatologist (a high risk OB physician), our suspicions were confirmed. We were completely unaware that there are hospitals willing to perform invasive, complex surgeries on fragile infants with limited experience or success. The doctor, in his quiet voice, told us it was an especially bad case of HLHS because of John’s extremely small aorta. He said there was a chance we could lose the baby in utero. Twice, he brought up termination. Thinking back now, I find it illogical that presenting termination of our child as an option was legally required, but presenting transparent information about various pediatric heart centers and their outcomes, which can give heart kids a fighting chance at a qualitative life, was not. So many questions were racing through our minds by the time we met with the pediatric cardiologist. 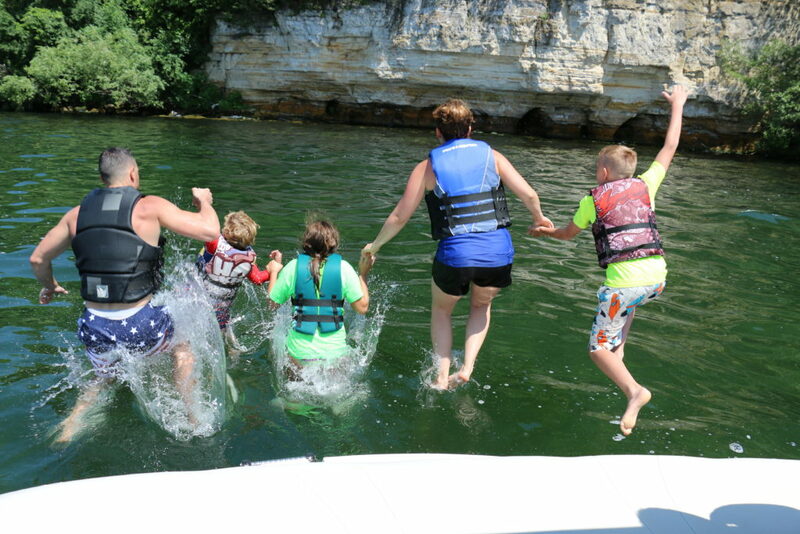 We were eager to trust someone knowledgeable and get a feel for what life was going to look like for our family. I was pregnant and tired when the cardiologist performed a thorough and exhaustive echocardiogram of all the tiny little valves, vessels, and arteries of John’s quarter-sized, two-chambered beating heart. Afterward, the cardiologist sat at eye level with us, showed us diagrams of the heart, and confidently began to explain the three open-heart surgeries that were needed to save John’s life. The cardiovascular system of our newborn baby’s heart needed to be completely reconfigured, including extensive reconstruction of his tiny aorta. But a thick, confusing blanket of vagueness descended when I asked where we needed to go for these invasive surgeries. He shrugged his shoulders in response. I asked about heart kids I was following on social media and he told me their hearts were great, but it was the eating issues they struggled with. There was a negative connotation in his voice when he answered our questions about other hospitals in the area, suggesting that a teaching hospital would just have a lot of doctors running around, telling us what to do. His expectation was to stay local for the surgeries. The cardiologist removed himself from the conversation. He never gave us any qualitative facts about statistics, credentials, or historical experience. There was no discussion about recovery and the complications that can easily arise after surgery. His indifference was hurtful and placed John in a dangerous position. Something inside me told me to protect my child from this practice. Therefore, we entered into our own research process completely blind and on our own. There was so much at stake and the pressure was emotionally exhausting. We had no idea where to start. On the internet I read dozens of blog posts, describing the daily ups and downs of post-surgery recoveries. Almost every writer was advertising whichever hospital or doctor they had become emotionally attached to. Hospital websites were filled with marketing techniques. The culmination of everything I was reading on-line only caused me to withdraw further. Out of desperation, I called four different heart moms who all went to four separate heart centers and started to compare notes. My husband spoke with another heart dad that traveled a substantial distance for his child’s surgeries. We called a family practice doctor we knew, who talked to other doctors he trusted. Hard facts were nowhere to be found. While searching for information, I attended a local support group meeting filled with some of the strongest mothers I have ever met. It was like a tidal wave of one horrific tragedy after another. Tangible information was hard to find, but thankfully there were whispers and private conversations. I ended up getting a name of a surgeon’s nurse who I could call for help. After consulting with two different surgeons, both at their respective hospitals, we decided for John to receive care at a nationally ranked center of excellence. It was their seasoned experience, as a whole, that set them apart. As I type this, I’m fighting back tears of relief and joy, because there was a high likelihood that John would be dead or disabled had we not found our own way to this great hospital. 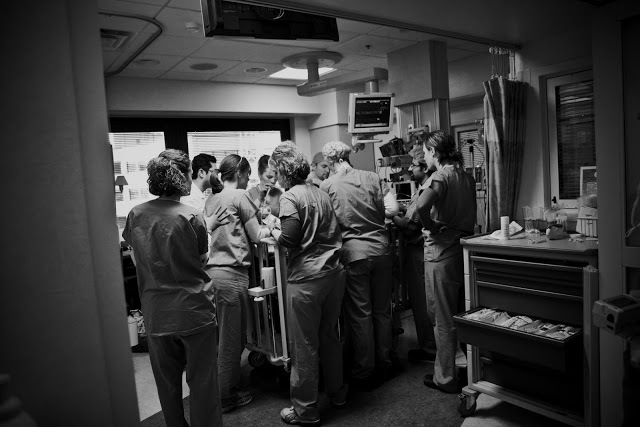 Doctors and nurses surrounding John’s bedside after his 2nd OH surgery, the Glenn. If you are a soon-to-be heart parent, your child is amazing and worth fighting for! 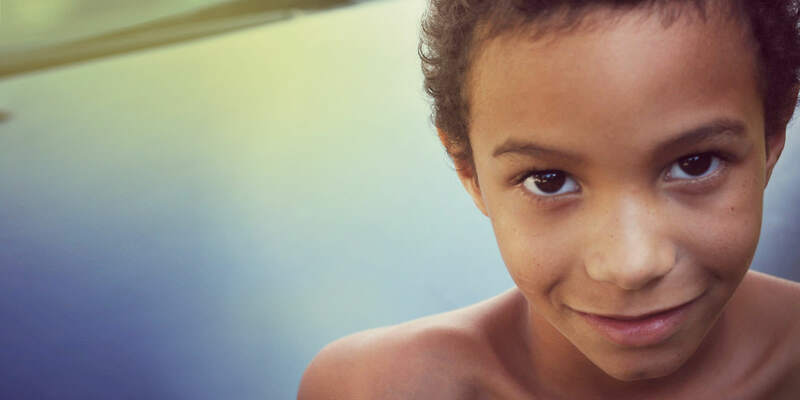 When it’s your blue baby coming into this world, gasping for breath, and about to be placed on that operating table, you’re going to want to be at a hospital that’s not afraid to truthfully share their outcomes of whatever procedure your child needs. If you need help or guidance during your research process, you can use PCHA’s Guided Questions Tool for practical advice. Transparency improves trust and is essential to improving quality and outcomes. Parents deserve to be properly and truthfully educated on their viable options of where to go for surgery and recovery. Choosing which hospital to go to for invasive surgeries can be the difference between life and death. It can be the difference between your child walking off the school bus to go to Kindergarten or spending the rest of his life in a wheelchair. And what we discovered is, finding a good surgeon isn’t enough. Infants and children recovering from open heart surgery need a supportive and organized system in place due to complicated recoveries. Thankfully, John was at a center that had specialized equipment and experienced cardiac sub-specialists readily available. He is one of the lucky ones. He is the real, beautiful, amazing little boy behind this transparency story. 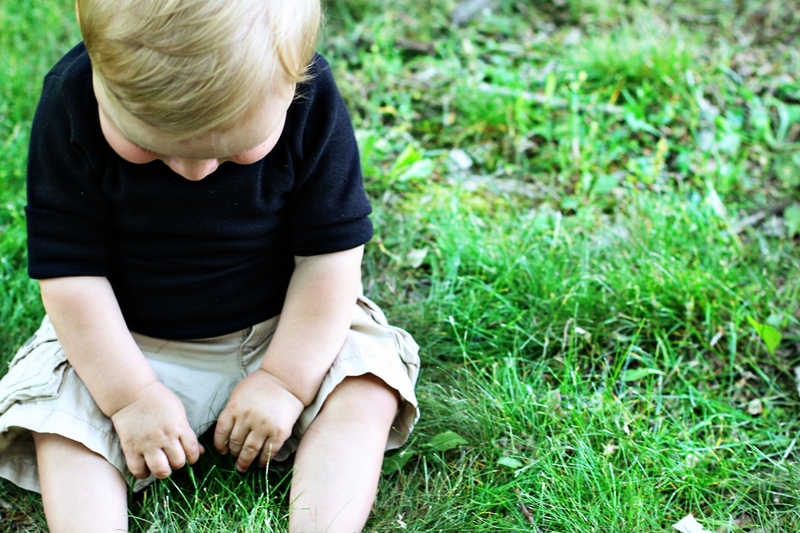 John was a breastfeeding 9 month old when he crawled across the living room. He took his first steps at 14 months of age. And today he continues to develop normally, graduating from preschool, alongside peers his own age. And that’s exactly what he’s doing. He’s a precious little boy moving full speed ahead as he grows, develops, and begins to understand his important place in this world. John turns 5 years old this month with a bright and promising future in front of him! 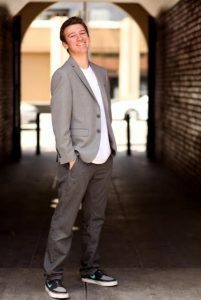 He lives in West Des Moines, IA with his parents and two older siblings, Abigail and Caleb. He receives care at The University of Iowa Children’s Hospital in Iowa City, IA where he successfully underwent the Norwood, Glenn, and Fontan open-heart surgeries as well as an interventional cardiac catheterization where a permanent fenestration was inserted. He has dealt with complications including Chylothorax, NEC, Embolic Stroke, PLE, and Plastic Bronchitis. He sends out a huge thanks to all who have worked together to make his life what it is today. Ethan was born July 11, 1998 with a congenital heart defect called VSD. He received his first pacemaker at the age of 4, another 2 at the age of 9 and will have his 4th pacemaker replacement surgery in April. He is nothing short of amazing. We are so thankful for the strength and courage he has shown everyday of his life. This kid has been through it all. He lives life to the fullest. He plays baseball, rides motorcycles and loves cliff jumping. He is in his sophomore year of college and wants to be a nurse to give back. I am so happy to say I am a proud heart warrior Mom! David was born on August 2, 2006. He is a twin. At my 18 week ultrasound the tech couldn’t find his aorta and the four chambers of his heart were not the correct size. We were referred to Dr. Goble. As she was doing an ultrasound she kept saying, “I can’t believe they found this”. Normal ultrasound techs are not trained to see that much detail in the heart. We were referred to UofM Mott. David’s twin Matthew is completely healthy. David was diagnosed as HLHS until he was born. 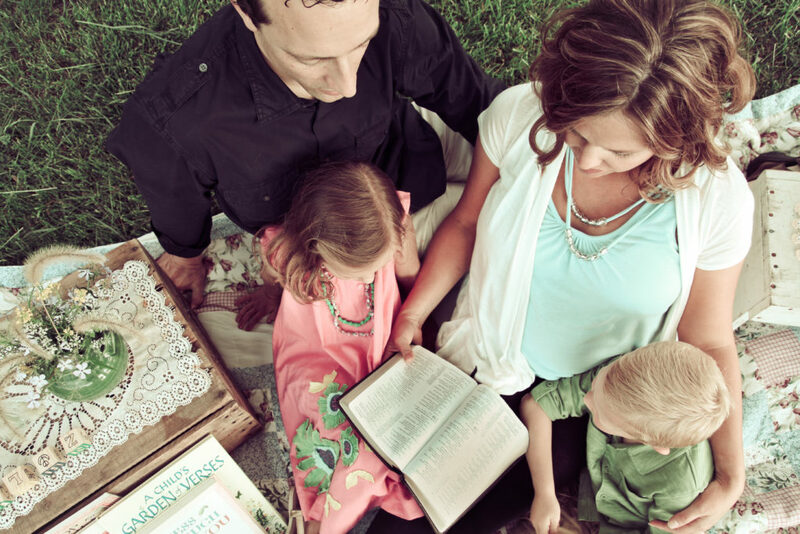 We lived in Lansing and due to David’s heart and twins we were scheduled for a C-section. 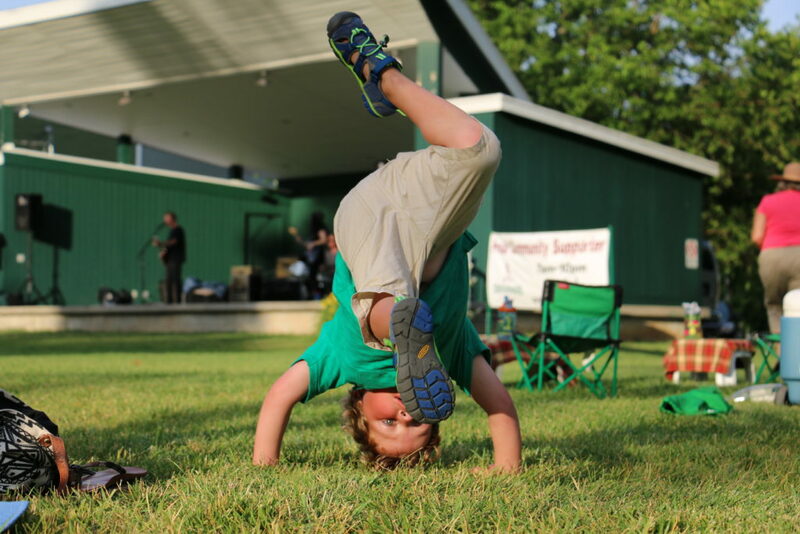 Once David was born his diagnosis changed to Shone’s Syndrome. He had ADS, VSD, Coarctation of the aorta. He also has issues with his aortic and mitral valve. His first surgery was when he was five days old. He’s had a total of four open heart surgeries and two caths. He has been surgery free since May 2012 and isn’t even on any medication. Other then his learning disabilities and that he’s super skinny you wouldn’t even know he had anything wrong with him! 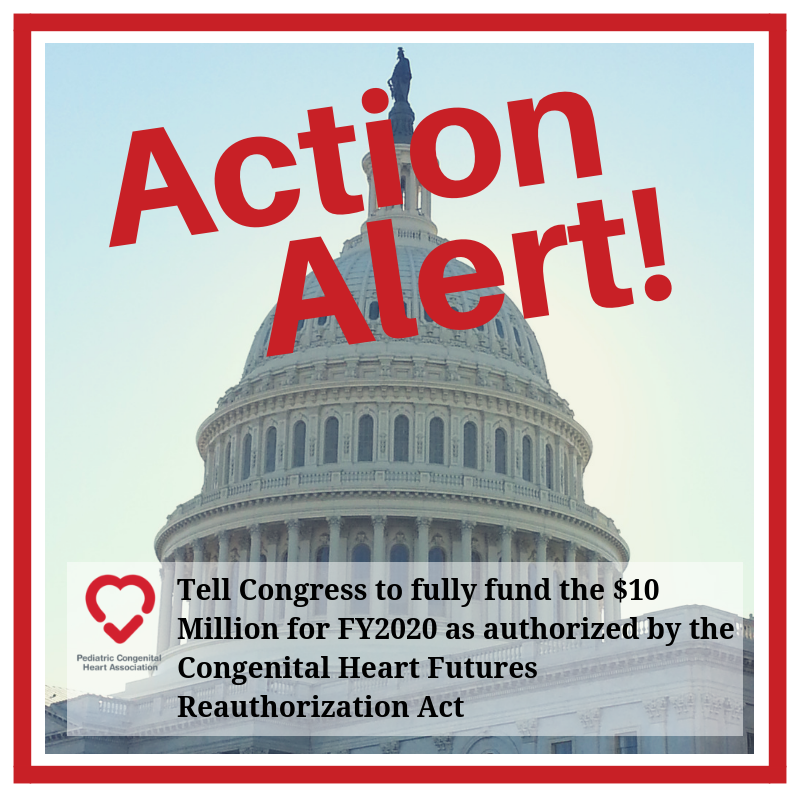 The Pediatric Congenital Heart Association is committed to empowering patients and families. Patients and families deserve essential information to help make important health care decisions. As this data becomes available it can be very hard to understand. It is our hope that this resource can help. For a .pdf version of this document, click here. 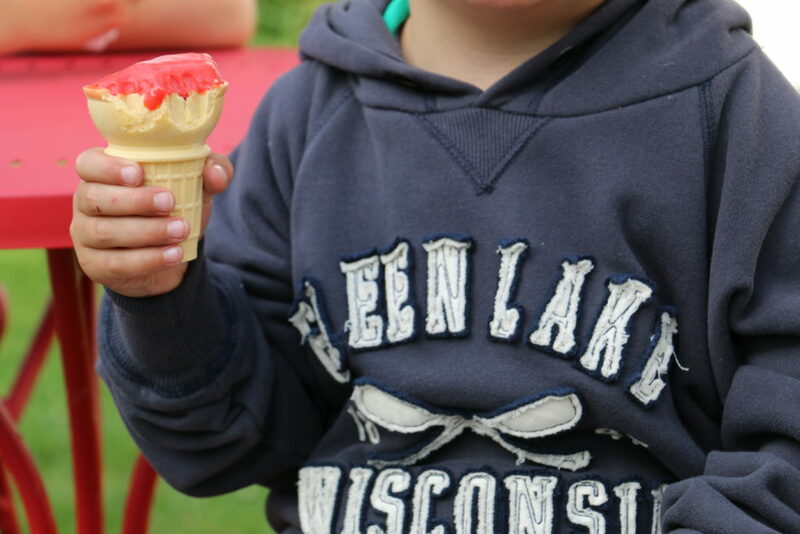 When your child has congenital heart disease, at times it can feel like there are so many decisions to make, especially, when faced with surgery or another medical procedure. During these times of stress, it is important to partner with your child’s medical team. One key decision you may be thinking about is where your child receives care. More and more information about different hospitals is now available to the public for you to review. However, understanding this information can be a challenge. Much of the information to look at includes several different numbers. Our goal is to describe what some of these numbers mean, offer things to think about when reviewing this information, and encourage you to use publicly available data as “one piece of the puzzle” when making health care decisions. Above all, please use this information in a conversation with your child’s medical team when making important decisions. Understanding congenital heart surgery information that is available to the public can be very complicated, even for people who work with the numbers all the time. We realize you may find that some of this information is difficult to understand. It is important information and we encourage you to talk with your child’s medical team to help you. Here, we are going to focus on explaining one specific set of information reported by the Society of Thoracic Surgeons (STS). Of all programs involved in reporting congenital heart surgery information to the public, the STS program is currently the largest. The information from the STS is also used by other groups who report congenital heart surgery data to the public, including Consumer Reports and US News & World Report. The STS routinely collects multiple pieces of information about congenital heart surgery to form a database. This information is often called “data” and includes a variety of different numbers along with other information. 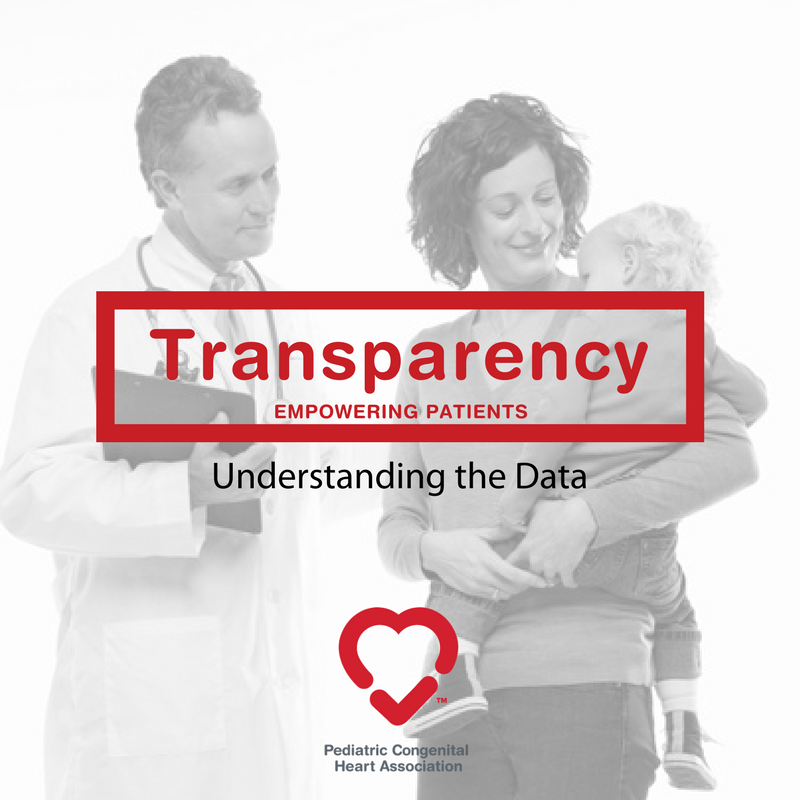 Approximately 120 hospitals around the country who perform congenital heart surgery provide information to the STS database. In 2015, the STS began sharing some of this information on their website for those hospitals that agreed to share their information with the public. The reporting website can be found at: http://publicreporting.sts.org/chsd. This information is updated once a year. Details from the STS about the information contained on the website can be found here. The STS reporting website lists several pieces of information for each hospital participating in public reporting. As you read on, we’ve tried to help you understand what some of the words and numbers mean that you will find on the website. Some of this information may be easy to recognize and understand. Some of it is more complicated. In addition to the information below, we have also developed an appendix that can be used with this guide that may provide additional helpful information. The name of each surgeon at the hospital who performs congenital heart surgery was listed on previous versions of the STS website, but is not listed in the current version. There is a link to the hospital’s website where you may find some of this information. You may also want to inquire about the surgeon’s board certification and level of experience. In addition, it is important to remember that the care of patients with congenital heart disease involves multiple team members working together including the surgeon. You can use our guided questions tool as a reference for other questions you may want to ask about the care team. Outcome means the result of the surgery. For each hospital, information is displayed on deaths after surgery. These include all deaths that occur during the hospitalization in which the surgery is performed, or death that occurs in any location within 30 days of surgery. All deaths are included – the cause doesn’t matter. Each hospital uses the same criteria, which means they cannot pick and choose which deaths to report. The STS periodically checks the information to make sure they are not missing any deaths; about 10% of the hospitals participating in the STS Congenital Heart Surgery Database are randomly selected each year to have their data checked or audited. The STS is also working on developing methods to report other types of important outcomes such as complications after surgery, and the number of days a child stays in the hospital after surgery. The information is gathered about all surgeries that took place at a hospital during a span of the last four years. Although you may want to see only the most recent numbers, like over the past month or past year, this can have some downsides. Because only a small number of surgeries may be performed over a short period of time by any one hospital, comparing these small numbers may make it seem like there are no real differences. Research studies have shown that putting the numbers together into 4-year timeframes gives the best chance that any differences will become easier to see. You may want to ask whether the hospital you are considering has had any major changes recently (like changes in surgeons, cardiologists, the unit patients are treated in, etc. ), and if so, work with your child’s healthcare provider to understand some of their most recent data. Overall: Overall numbers for all of the congenital heart surgeries. Separate STAT Categories: Separated into categories of surgeries as described below. 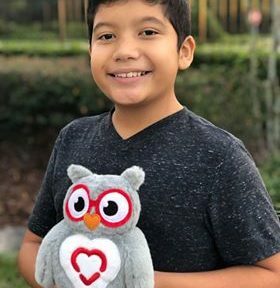 It would be great if the outcome information we are talking about were reported for each specific heart defect or type of surgery, but this can be challenging. Because there are so many kinds of heart defects, a hospital may not see many of the exact same type of defects in a given year. These small numbers can be hard to understand or compare as described in the section above. Combining operations together into larger groups or categories (the STAT categories) can help. To help organize surgeries into categories based on how risky or complex they are, the STS places each surgery type into one of five “STAT” categories. Category 1 includes surgeries with the lowest risk of death, and category 5 includes the surgeries with the highest risk of death. STAT is short for: Society of Thoracic Surgeons – European Association for Cardio-Thoracic Surgery. 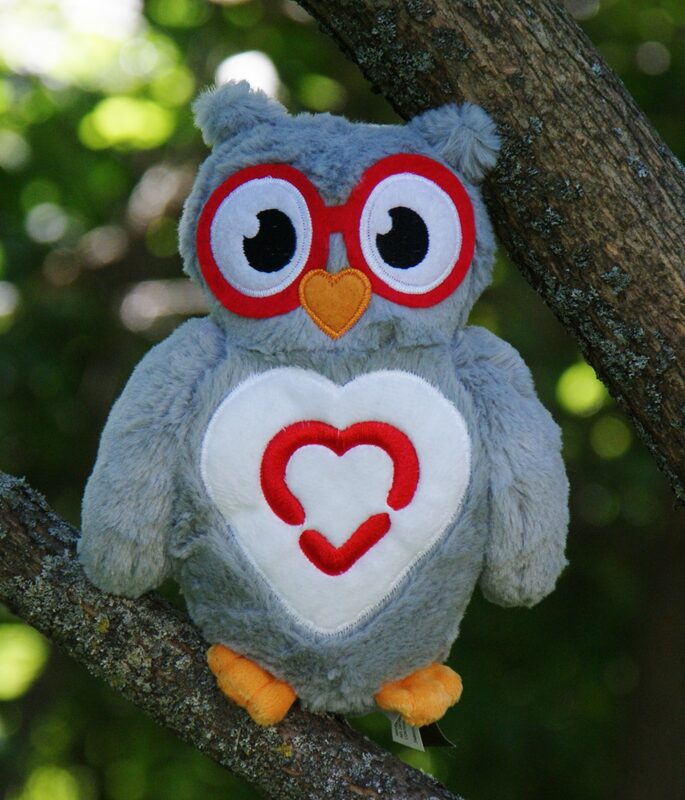 These categories were created after looking at 77,294 heart surgeries across North America and Europe. A brief listing of common types of surgeries included in each STAT category is included in the table below. More detail can be found in this article: O’Brien SM, Clarke DR, Jacobs JP, Jacobs ML, et al. An empirically based tool for analyzing mortality associated with congenital heart surgery. J Thorac Cardiovasc Surg. 2009;138:1139-53. # – total number of deaths during the 4-year timeframe. Eligible – total number of surgeries performed during the same timeframe. This number is particularly important because it tells us the volume or number of surgeries the hospital performs. See below and the appendix for more information about how to understand this information and why the volume of surgeries a hospital performs is an important piece of information to consider in addition to the number of deaths or mortalities. Observed – the rate of death calculated by dividing the two numbers above: the number of deaths divided by the total number of eligible surgeries. Even though the numbers in this calculation are pretty easy to understand, they should not be used to label the quality of a congenital heart hospital. This is because the types of congenital heart disease and surgeries performed, along with important characteristics of the patients (such as whether they were born prematurely or have some type of genetic syndrome or other medical problem besides their heart disease) can be very different across hospitals. Some hospitals treat a lot of patients with very complex or severe heart disease and other conditions, while other hospitals treat fewer of these patients. This is known as having a different “case mix”. If you compared only the simple calculations above, some hospitals could have a higher rate of death just because they take care of more complicated and complex patients, not because they are providing lower quality or worse care. So, in order to better understand how a hospital is doing, more advanced methods are necessary. This column lists the expected rate of death. This number is calculated from a math formula that is used to predict how many deaths we could expect to see at a hospital when taking into account the severity or complexity of patients they treat. This formula uses information like the type and complexity of the congenital heart surgery performed, and the characteristics of the patient such as how old they are, how much they weigh at the time of surgery, whether the patient has a genetic syndrome or other medical problems, etc. Importantly, hospitals don’t get to pick their own expected rate, it is assigned for all hospitals based on the information in the math formula created by STS. The formula is not perfect. It does not take into account every important factor that relates to how complex or sick a child may be at the time of surgery, but it is the best one that has been developed to date and it has been improved and updated over time. This column lists what is known as an observed/expected (O/E) ratio and a 95% confidence interval. Observed/Expected (O/E) ratio – This ratio is calculated by using the data described above, and dividing the number of observed or actual deaths at the hospital by the number of expected deaths from the math formula (based on how complex or sick the patients at that hospital are). If the O/E is less than 1 – A ratio less than 1 means the hospital had fewer deaths than what would be expected for the type and complexity of the patients that they treat. Thus, a lower O/E ratio is better. If the O/E is greater than 1 – A ratio greater than 1 means a hospital has more deaths than what would be expected for the type and complexity of the patients that they treat. 95% Confidence Interval (95%) – The O/E ratio is displayed with what is known as a 95% confidence interval, which is very important. The calculations from the math formulas described above are complicated, and it is difficult to be completely certain about what the exact O/E ratio is. The confidence interval shows the range of numbers where the O/E ratio could fall for each hospital. This range is just as important as the O/E value itself. Taken together, the O/E ratio and 95% confidence interval is believed to be one of the most important pieces of information displayed on the website. This piece of information can be challenging to interpret. It represents the adjusted mortality rate with 95% confidence interval. It is calculated from a math equation using some of the information described in more detail above. It represents what the hospital’s rate of death would be if their results were in theory applied across the entire population of patients within the STS Congenital Heart Surgery Database. In an effort to help make it easier to understand the information we’ve been talking about, STS has given each hospital a star rating ranging from one to three stars. This rating is based on the O/E ratio and 95% confidence interval. One star = More deaths than expected. These hospitals have more deaths than would be expected based on the type and complexity of patients they treat (their case mix). Their O/E ratio and entire 95% confidence interval are greater than 1. Two star = Deaths similar to expected. These hospitals have a rate of death similar to what would be expected based for the type and complexity of patients they treat. Their O/E and 95% confidence interval overlaps with 1. Three star = Fewer deaths than expected. These hospitals have fewer deaths than would be expected for the type and complexity of patients they treat. Their O/E ratio and entire 95% confidence interval are less than 1. It is important to note that based on the definitions of the star categories described above and the way the math formulas work, the vast majority of hospitals fall into the two star category. This is talked about in more detail below. Not all hospitals share their data. 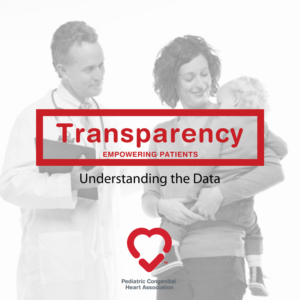 Of the hospitals currently participating in the STS Congenital Heart Surgery Database, about half currently agree to share their information on the STS public reporting site (see the appendix for more details). If you are considering a hospital that does not report their information you should ask them why. They likely still send their data to the STS Database, but have decided to not share it publicly. You can work with your child’s medical team to ask for the same information that would be posted to the STS website. Remember the timeframe of reporting. As described above, there are several reasons why the 4-year timeframe for reporting the information was chosen. You may want to ask whether the hospital you are considering has had any major changes recently, and if so, work with your child’s healthcare provider to understand some of their most recent data. Not all outcomes are reported. Current public reporting efforts focus on mortality (death) that occurs in the short-term after surgery. Efforts are ongoing to develop the methods necessary to share information on complications that occur after surgery, number of days in the hospital, and other longer-term outcomes. In the meantime, you should talk about other outcomes that are important to you with your child’s healthcare team and work with them to understand any available information. The raw numbers may be easier to understand but they SHOULD NOT be used to judge the quality of a congenital heart hospital. The raw data (#/Eligible and Observed) do not consider the severity or complexity of patients the hospital treats. Some hospitals may have higher mortality rates simply because they take care of sicker or more complex children. Use the information that takes into account the type and complexity of patients the hospital treats. The additional information calculated from the math formulas described above is much better to use in understanding how a hospital is performing compared to what would be expected for the type and complexity of patients that they treat. The math formulas allow the calculation of the O/E ratios and star ratings. Small changes can influence a hospital’s star rating. Any time you group hospitals into categories, a few more or less deaths can cause the hospital to change from one category or group to another. The same is true for the star rating system. For example, in one reporting period a hospital had an observed mortality rate of 3.7% with an O/E ratio of 0.84 (95% confidence interval 0.66-1.05) resulting in classification as a 2-star center. The year prior, the observed mortality rate was 3.8% with an O/E ratio of 0.8 (95% confidence interval 0.6-0.9) resulting in classification as a 3-star center. The majority of hospitals are classified in the 2-star category. Because of the way the math formulas used to calculate the star rating work, the majority of hospitals are classified within the 2-star category. There may be important differences between some of these hospitals that you don’t see when you look only at the star ratings. Use the more detailed information on the STS website. Due to the reasons above it is important to look beyond the star rating to more of the detailed information presented on the STS website. Remember that lower O/E ratios are better, but also that small differences in the O/E ratios themselves may not be important. The confidence intervals around the O/E ratio are just as important to consider because they describe the range of values where the O/E ratio is likely to fall. The information on the website can’t necessarily be used to directly compare two hospitals without knowing more of the story. This point is critical to understand. The math formulas used to calculate the information such as the O/E ratio and star ratings tell us how a hospital is performing compared to what would be expected specifically for the type and complexity of patients they treat (case mix). For example, a hospital can receive a 3-star rating by doing well in caring for a high-complexity patient population (very sick/complex patients), doing well in caring for a low-complexity patient population, or somewhere in between. A hospital who does well in treating lower complexity patients can’t really be directly compared to a hospital who treats higher complexity patients (sicker or more complex children). It can’t be assumed that this first hospital would have the same success if they were treating the more complex or sicker patients that the second hospital treats. For this reason, it is important to understand not just the information about the outcomes (the O/E ratios, star ratings, etc.) but also the type and complexity of the patients that the hospital treats in order to make the best judgement. This is really important especially when deciding where to seek care for a child with more complex heart disease. In this situation, you may want to understand not only which hospitals have good results but whether they achieved these results through taking care of a high complexity patient population. You can look at the number or volume of patients a hospital treats in the high complexity or high risk STAT categories (STAT categories 4 and 5). Remember this information is found under the “Eligible” column described above. A higher number means the hospital treats more of these types of cases. You can also understand a hospital’s results or mortality information (O/E ratio and 95% confidence interval) specifically for these higher complexity operations by looking at the information presented in these rows of the table for each hospital on the STS website. In addition to helping to put the information above, such as star ratings, in better context, it is also important to note that prior research studies have shown that in general that hospitals that perform a higher number of operations generally have better results, particularly for children who have higher complexity types of heart disease. This is known as the “volume-outcome” relationship. More information, including the range of values from hospitals currently reporting on the STS website, can be found in the appendix. Publicly reported information can be a useful tool when making health care decisions. 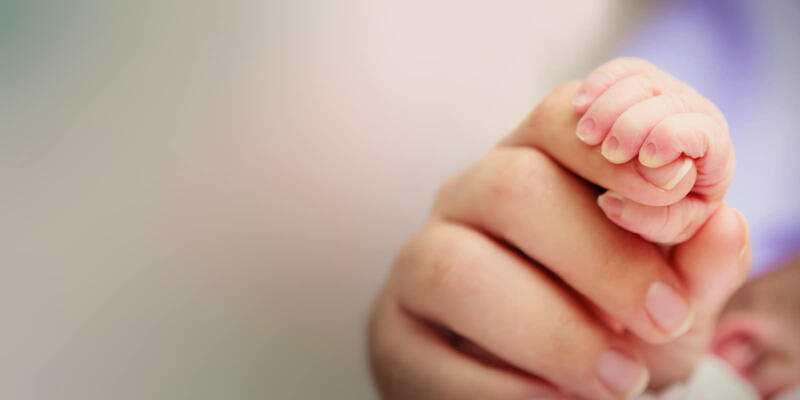 However, it is important to remember that the information shared, as well as this guide, cannot by itself tell families where they should seek care for their child. There are often many things that impact a family’s healthcare decisions and this information is best used as just one tool to help to make those decisions. We recommend reviewing the publicly reported STS data and the key points included in this guide with your child’s healthcare team as a first step. Don’t be afraid to ask questions until you understand how this information impacts your child. 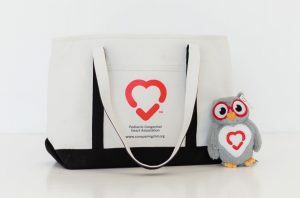 For more information, visit www.conqueringchd.org.